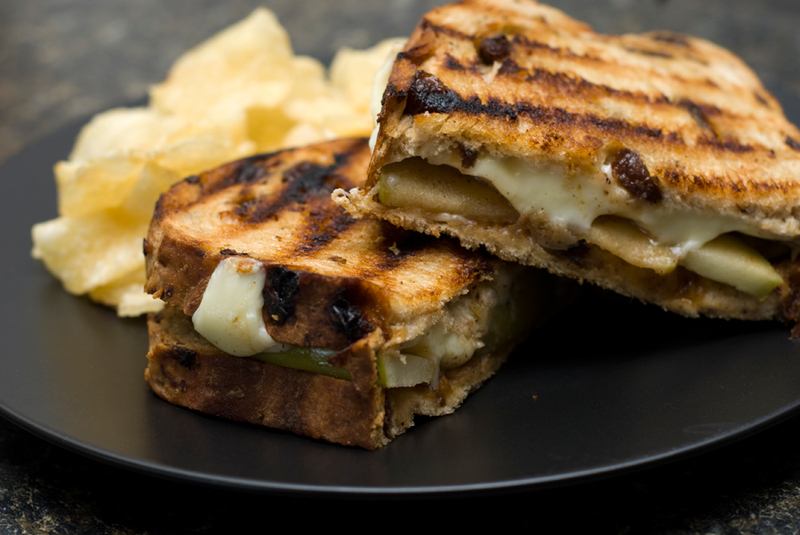 This is the best Saturday afternoon sandwich ever. Hands down. Not sure why, but it really works well for Saturdays. It’s easy too. Just fry up some apple slices with butter, brown sugar and cinnamon. 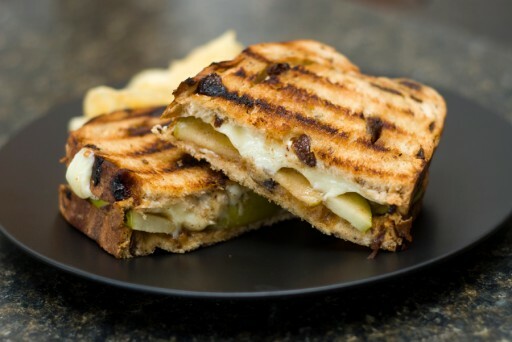 Then, slap it between two slices of raisin bread and cheese and toss it on the grill for a few minutes. Before you know it, you’re eating the best sandwich you’ve ever head. Well, maybe not the best… but, really good. Dude, that looks totally awesome! I’m going to have to try this soon. Thanks for the recipe/idea! Dude! Amazing work; I’m actually going to need you to email me the recipe for this I’m on my own for dinner tonight. Wow. That looks pretty freakin’ good. Wow that looks super scrumptious. I bet sourdough would be pretty bomb too but cinn+raisin is creative I like it. What kind of cheese? This looks seriously good Kevin. I am going to have to try that soon. Could you send me a little bit more detailed recipe of this? It looks and sounds absolutely delicious and I’m going to have to try it!